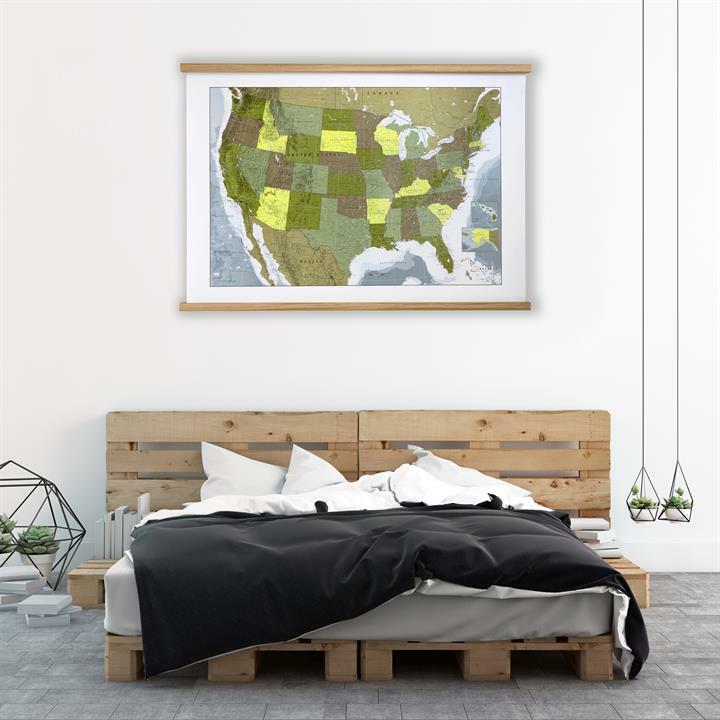 We love a classic framed map, but for more informal, contemporary look, you can't beat our beautiful handmade wooden hanging rails. Available in both white and oak finishes, they are both stylish and inexpensive - with prices starting from £28. Perfect for creating a chic yet relaxed modern aesthetic. 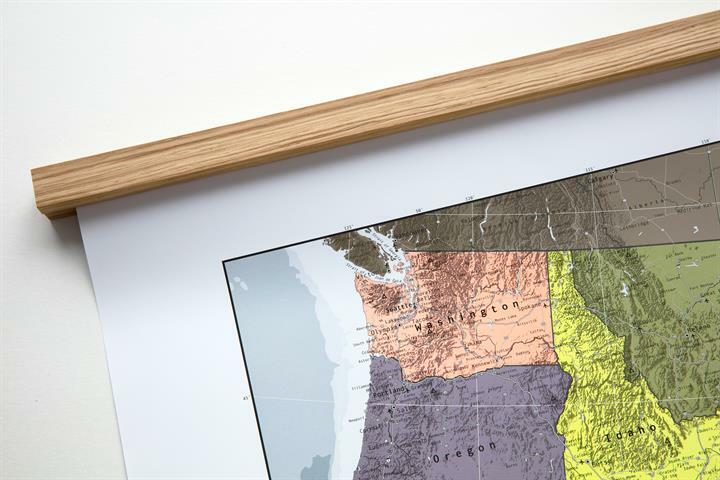 Our hanging rails contain hidden magnets which trap the map between them and hold it tight. The top rail can be hung on the wall like a normal framed map, while the bottom rail weighs the map down, keeping it straight. 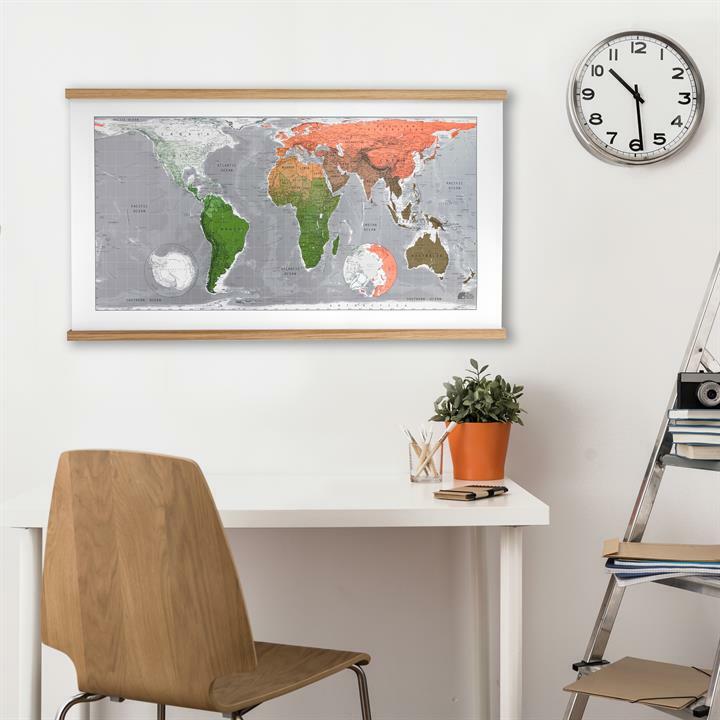 Any of our maps look great displayed this way, although if you're displaying your map in a corridor or somewhere it could accidentally get bashed, we'd recommend our plastic laminated finish for additional protection.